"When something exceeds your ability to understand how it works, it sort of becomes magical." – Jonathan Ive, Senior VP of Industrial Design at Apple, Inc. When speaking of Apple's cutting-edge design laboratory, former executives paint the picture of a scene analogous with Batman's lair. Shrouded in the secure secrecy of an off-site office, a dozen engineers and their leader tirelessly work on the next-generation of the consumer electronics manufacturer's cutting-edge products while listening to the subtle beats chosen by a celebrity DJ. Concealed from both the public and internal employees, Apple projects perfection by hiding its process from the world. Much like its next-generation electronics, the Cupertino-based company's master of industrial design, Jonathan Ive, is also tucked away from the public eye. With over three hundred design patents credited to his name, Ive's innovative techniques and methods have paved the way for the "Post-PC" world. His scrupulous attention to detail has moved the consumer electronics industry forward. Alongside his close friend, Steve Jobs, he has played an extremely important role in reviving Apple, yet his participation in creating the innovative products Apple is so well-known for has largely gone unnoticed. Born in London and raised in Stafford, Ive was subject to an upbringing that resulted in his meticulously clean and simple works. His ambitious father, originally a teacher of industrial design, decided to switch career paths, becoming a schools inspector, but his expertise clearly rubbed off on his son. Ive's teachers and peers could both see that he was to become a skilled technician. Known for his dedication, many of his classmates noted his potential for greatness. While he might have been a chubby, modest adolescent to some, to others, such as his former teacher John Haddon, he was much more than that. "He was a determined character – he settled in straight away," Mr. Haddon recollects in an interview with Daily Mail. One of his rugby teammates during his time at Chingford foundation school, Chris Kimberley, also noted this drive in a statement he gave to the tabloid-newspaper. He was a gentle giant. He was very unassuming but he did somehow have a big presence about him, and complete commitment. He played prop forward and I never once saw him shy away from a challenge. Ive moved on from his secondary education to attend London's Central St. Martin's Art School, initially planning to design cars. However, he decided that a fundamental switch in career paths was in order, and he switched to an industrial design course at what was Newcastle Polytechnic. "His attitude to work was incredibly thorough," recalls his former professor Neil Smith, speaking to the second largest British newspaper. Whatever he did was never quite enough; he was always looking to improve the design. He was exceptionally perceptive and diligent as a student. It was never a case of just going through the motions. His apparent skill and precision resulted in a job with Tangerine, a British design firm that offers its customers with industry advice, AT&T, Samsung, and Cisco being amongst the notable clients. Unfortunately for those who had such high hopes for his success in Britain, he was exported to the United States with the opportunity to work at a fledgling computer company, Apple. For three years, Ive was forced to design Newton devices and printer trays, most of which never even reached market. He even forged the first flat panel computer, yet its price tag immediately condemned it in the eyes of consumers. With no apparent way to utilize his talents, Jonathan looked for a way out of the United States. 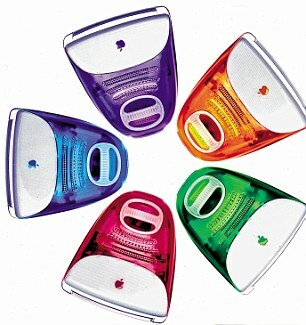 His pessimism was quickly changed to hopeful optimism with the return of Steve Jobs, who came across the designer's prototypes on a tour around the company's campus. The now-iconic leader of one of the largest companies in the consumer electronics industry demanded that Ive be promoted, tasking him with forging Apple's future with the iMac. Characterized by its curvy, translucent backing that differentiated it from every computer in its class, the iMac was instantly a hit. Although it might not have met Jobs' expectations completely, the mouse and choice of USB technology causing his pain, it fit the bill, providing consumers with a cheap cathode-ray-tube computer. It was a step forward that saved Apple from being swallowed by financial stress. Ive's next project was the iPod, a 2001 media player that merged a simple form factor with intuitive controls and data tranfer translating to massive success. 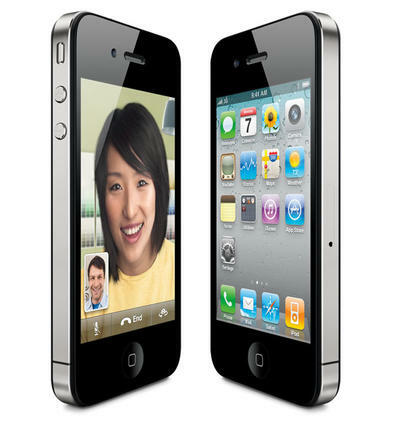 The iPod line was shocked life back into Apple and made it an industry leader in multimedia ventures. This eventually resulted in Ive's work on the iPhone and later the iPad. The acclaimed industry innovator's unique approach targets the user as opposed to the device. In introducing the iPad, the acclaimed designer and innovator shared his most important principle of design, which is to have the user define the device rather than have the device define the user. This sentiment has changed the technology universe forever. What is known about Ive's systematic way of attacking problems is that he prefers to work in a small group, typically with a dozen or so other individuals, in an extremely clean environment. Except for the aluminum that he forges his designs from, his workspace is spotless. Within the secret laboratory in which he and his colleagues work, former Apple executives say that they have seen innumerable creations, some of which will never see the light of day. Ive played an important role in creating the current tablet market, which did not exist in its current form before the introduction of the mind-bogglingly simple iPad. He changed the digital music industry by forging the iPod's candy bar form factor. 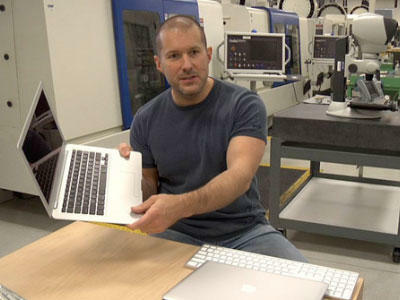 He stretched the abilities of aluminum unibodies to the limit with recent MacBook models and the iPad, making it a Apple's signature material. 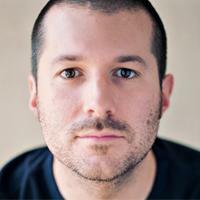 Recognized for his part in creating Apple's products in 2010, Fortune magazine named Ive "World's Smartest Designer." 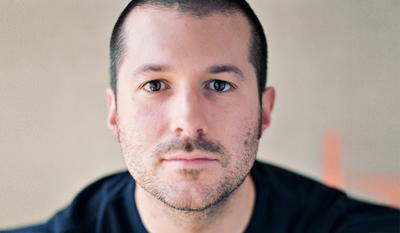 He has been showered with industry-specific awards for his work on the iPhone, iPad, MacBook, iMac, and iPod. One of his crowning achievements did not come in the form of an award, but rather when the British monarch revealed her adoration of the iPod in 2005. With Steve Jobs' leave of absence, many have been looking to Ive to step forward as the leader of the massively successful Cupertino-based company, but those with any knowledge of the industry know that Tim Cook is the likely candidate to replace the icon as CEO with his unparalleled skill in creating effective business strategies. Ive will continue his role in creating beautiful products behind closed doors. While Ive's work process might not be entirely known, rest assured that he is in his workshop with his partners, paving the path of the computer industry. Though we will never understand how Ive works, his work is undoubtedly 'magical'.